Mechanical seals with bellows technology have various benefits and applications. Edge welded bellows technology allows for a variety of materials including stainless steel, Inconel®, and Hastelloy®. With these options, various liquids and gases can be measured as well as extreme temperatures. Bellows mechanical seals can eliminate O-rings to increase compatibility and reduce potential leak paths. 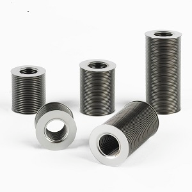 The metal bellows design allows for higher flow rates and less clogging than traditional spring seals. Bellows technology creates a uniform outside wall for uniform movement under hydraulic pressure. 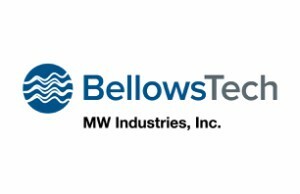 With precision stamping and proprietary welding techniques, BellowsTech manufactures its edge welded bellows within tight tolerances in its Ormond Beach, Florida facility. Mechanical seals can be manufactured with O-ring grooves, flanges, and carbon-face seals to make the best possible connection to customer assemblies. BellowsTech mechanical seals are 100% visually inspected throughout the manufacturing process and confirmed with mass spectrometer testing. 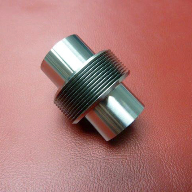 BellowsTech can offer various sizes and stroke lengths to satisfy custom demands.